100" beeswax. 1" diameter x 10" high. Base is 5/8" tapered. 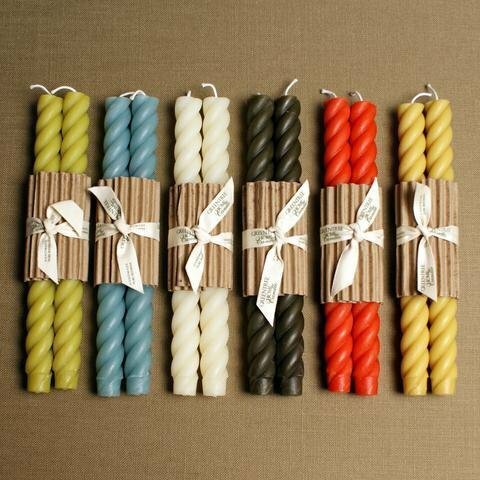 The 10 inch Rope Tapers are a "must have" for a special dinner party or hostess gift. Burn time is approx. 15 hours.